It’s been five years since Oscar-winning Mexican writer-director Alfonso Cuarón’s last film, gripping space adventure Gravity, but the filmmaker is finally ready to return to Earth with Roma, a buzzed-about, black-and-white Netflix drama that is being called Cuarón’s most personal work to date. Named for a central district in Cuarón’s hometown, Roma “chronicles a turbulent year in the lives of a middle-class family in 1970s Mexico City,” per Deadline. The production describes the film as being “inspired by the women from [Cuarón’s] childhood and the matriarchy that shaped his world.” Producers on the project include Esperanto Filmoj and Participant Media. [Roma] follows a young domestic worker Cleo (Yalitza Aparicio) from Mixteco heritage descent and her co-worker Adela (Nancy García), also Mixteca, who work for a small family in the middle-class neighborhood of Roma. Mother of four Sofia (Marina de Tavira) copes with the extended absence of her husband, and Cleo faces her own devastating news that threatens to distract her from caring for Sofia’s children, whom she loves as her own. While trying to construct a new sense of love and solidarity in a context of a social hierarchy where class and race are perversely intertwined, Cleo and Sofia quietly wrestle with changes infiltrating the family home in a country facing confrontation between a government-backed militia and student demonstrators. The teaser starts at somber and intensifies from there, tracing the highs and lows of life itself. Though the celestial thrills of Gravity are nowhere to be found, Roma somehow manages to suggest that Cuarón is aiming even higher than the stars, looking inward so as to examine the ineffable ties that bind humankind together. Roma will debut at the 75th Venice International Film Festival (Aug. 29 – Sept. 8) before coming to select theaters and Netflix later this year. Safe to say we’ll be eagerly anticipating Cuarón’s return. 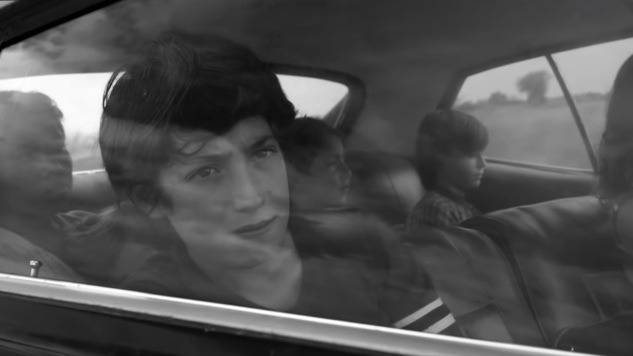 See the Roma teaser below.